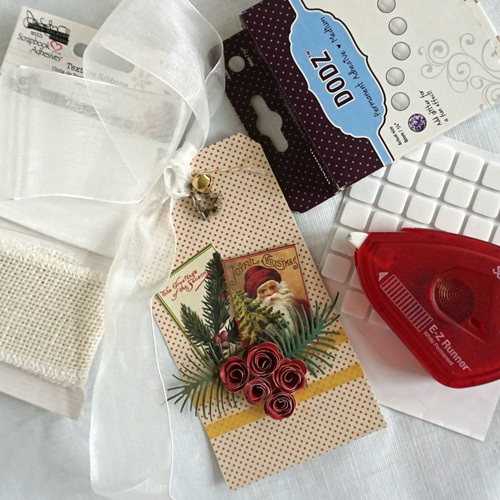 This is my last project as guest blogger for My Treasured Kutz, a line of detailed dies to use in your manual die cutting and embossing machine. 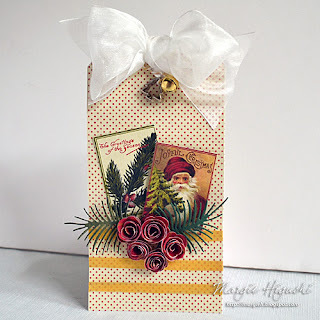 Using Pine Bough and 3D Miniature GrandFlora Rose Flower, I created a sweet and dimensional Christmas Tag. 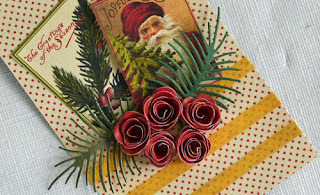 My inspiration was found in the pattern of my holiday themed paper, I cut them out as the focal point of the tag. Then I die-cut a combination of Pine Bough, and 3D Miniature Grand Flora Rose Flower to frame the focal point. 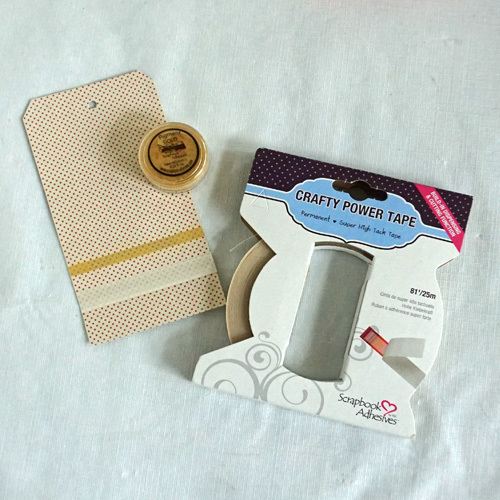 I first used Craft Power Tape and Pigment Powder Gold to make a three line border. Then add the cut accents using E-Z Runner Permanent Strips and 3D Foam Squares. Next frame the bottom with Pine Bough and 3D Miniature GrandiFlora Rose Flower secure with Dodz Adhesive Dots Medium. Tie a jingle bell and mini cookie cutter together with Girlie Grunge Twine and tie to the organza bow to finish. I hope you all enjoyed all three tutorials I shared! BIG THANK YOU to My Treasured Kutz and Terre for letting me play with their fabulous products. If you like what you see here, I hope you follow me on my blog by clicking: Scraps of (my) Life. Thank you for the post, it's very interesting for PaperCoach.net . I’m so confused, OK I’m getting weeded now. I know I contradicted myself, look, I don’t need that now read this. I always thought writing is about talent and special inclinations, I was surprised to find that writing skills can be developed. Thanks to a customessaymeister writers essay writing advice, I wrote a great narrative essay and got a good mark.